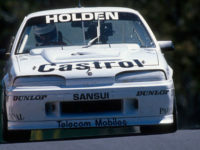 The team at Super100MPH catch up with Norm Mogg in this video, to chat about his 1989 Holden Racing Team Walkinshaw Commodore VL as he heads out for a run at Sandown. 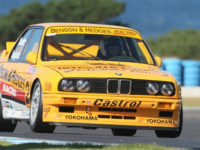 The Ex-Tony Longhurst/Johnny Cecotto Benson & Hedges BMW E30 M3 of Rick Allen will make its second appearance in the Heritage Touring Cars series this June, when it joins a stacked grid of classic Australian muscle at the Sydney Classic Speed Festival over the Queen’s Birthday long weekend. 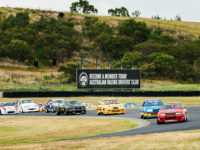 The Heritage Touring Cars series is set to return to Sydney Motorsport Park this Queen’s Birthday long weekend, June 10-11, for the Sydney Classic Speed Festival, bringing with it a glorious collection of golden era muscle.